On February 9, just two days ago, our blogging group PBAU lost one of our dearest members, Thom Brown. According to his daughter, it was unexpected but it was a peaceful passing and he had his wife by his side. I never got the privilege of meeting Thom personally but I have always considered him like a father figure in our group. He is a professor of Psychology in Utica, New York and perhaps it's partly due to this academic background that made him and his posts all the more relatable to me. But more than that, I have always found his writing so full of grace and wisdom. He loved writing about his family, treasured memories from years past, and of course his musings on teaching or education. There is one series of posts though, that is just so representative of Thom. I believe that all of those who know him and follow his posts would agree that his signature lies in the Tree. As a matter of fact, it's been repeatedly called and I believe should now be officially referred to as "Thom's Tree". You see, there is a tree right by Thom's office window and he takes photos of this beautiful tree from the same angle, at around the same time of day almost everyday. Then he shares through his blog and Facebook page his favorite photo for the week, and this collection of photos started in 2010. I encourage you to check out this magnificence here. So as a way of remembering and honoring Thom, I decided to dedicate this post to him and his tree. I want him to know that his postings were not only beautiful to look at, but also spoke of lessons that will always guide. As someone who also loves looking at trees and finds them to be so full of grace and poesy, I truly believe that he could not have chosen a better subject. No two photos of his Tree are exactly the same and the changes of course become even more apparent with the change of seasons. And as a viewer or audience to this Tree, we know this. We accept it. It just is and always will be the truth. Thom's photos reflecting the subtle changes in his Tree highlights the reality that change is a natural consequence of the passing of time. We cannot control it, and are only left to experience it. 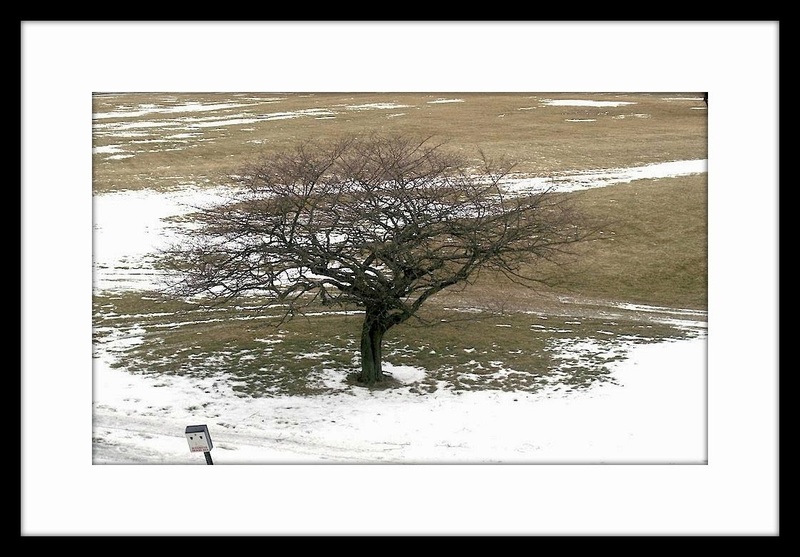 It may look sad sometimes that the tree loses its leaves or is simply all covered in snow. But we accept that it's the inevitable and still are able to believe that the tree will endure; that it will remain graceful. For three years, Thom has shown us how this Tree has withstood the changing seasons and even the harshest weather conditions. But I can't help but see strength in it, and I think I speak for most of us when I say that there is undeniable beauty in this tree. I believe that the knowledge that this Tree has survived so much and that so many of us have witnessed it adds to its beauty. And I think resilience does that to any of us. We ache, we suffer and we survive. And each challenge that we conquer gives us more strength, more wisdom, more compassion. Aren't these the very same things that make one remarkably and authentically beautiful and memorable? For me, Thom's Tree reminds me of all that; that resilience gives character and brings with it the gift of real beauty. Consistency helps produce the results we want to achieve. If Thom had kept shifting angles or perspectives, the series would not have achieved the desired effects. The reason why it has been so fascinating is because Thom allowed us to witness even the subtlest changes to his Tree. Moreover, his discipline in photographing the Tree is what gives the series its unique character. Thom knew when to be still. It was just an ordinary tree and yet he knew when to pause and REALLY see. If he had taken this Tree for granted and did not bother to be still, we would not have enjoyed this gift. Isn't this also a good reminder for us that we need to take time to pause and enjoy what surrounds us? Beauty is everywhere but you need to be still to be captured by gratitude and be able to hear when beauty speaks to you. Thank you, Professor Brown, for the privilege of learning from you and knowing your spirit through your writing. Your humor and wisdom shall be missed. This is beautiful Joy! RIP Thom. Such a beautiful tribute, Joy, Thank you for this. You're welcome and thanks so much too Adriene. We have been blessed and lucky indeed, Janine. Incredible post, Joy. Love the fruits of Thom's tree. Thank you Pennie. I hope Thom liked it too.